Trump Administration To Pay $4.7 Billion In Relief To US Farmers Hurt By Trump's Stupid Trade War With China - Joe.My.God. The Department of Agriculture will pay $4.7 billion to farmers growing soybeans, cotton and other products hit by tariffs in the Trump administration’s hard-line trade war with China, announcing the first batch of payments from a $12 billion government aid package. Starting next Tuesday, the agency will take applications from farmers who produce corn, cotton, dairy, hogs, sorghum, soybeans and wheat — products that were targeted in China’s retaliatory tariffs, after the U.S. imposed a 25 percent levy on $34 billion worth of Chinese imports. 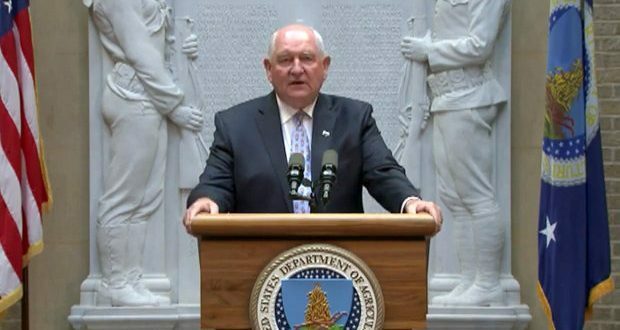 The government payout was sharply criticized when it was announced last month, with farmers and Trump’s fellow Republicans saying that the administration was paying billions in response to a problem it created. Congress was not required to vote on the billion-dollar farm relief package — a vote that could have had sharp negative fallout with midterm elections looming in November.